﻿The NEDC is a national network of recognized experts in cybersecurity and elections administration, bipartisan policymakers, and concerned citizens and movement-builders. We are working to build a bipartisan consensus on the need for reform, while building a comprehensive, cost-effective plan to secure the vote in coming elections. Georgia is rightly moving to replace its notoriously insecure paperless voting machines to provide a voter-verified paper ballot. However, the electronic Ballot Marking Devices (BMDs) that vendors have been aggressively promoting to provide a paper ballot are completely unnecessary and amount to nothing more than a boondoggle for the vendors and an enormous waste of taxpayer dollars. A pair of conservative groups has accused Secretary of State Brad Raffensperger of purposely misleading members of the Legislature about the costs of implementing a system of touch-screen voting machines that would be authorized by a measure passed by the House on Tuesday. The joint letter from the National Election Defense Coalition and FreedomWorks, dated Wednesday, was addressed to members of the Senate Ethics Committee, chaired by Kay Kirkpatrick, R-Marietta. ACCESS DENIED — Indiana’s top election official is refusing to release her communications with the National Association of Secretaries of State, limiting the public’s understanding of both her role and the role of NASS in squashing federal legislation to upgrade voting systems, Eric reports. Indiana Secretary of State Connie Lawson is fighting a public records request that could shed light on both the NASS stance in election security debates and the influence that the small community of voting technology vendors has over the organization. The dispute over the records is ongoing, but Greenhalgh said the NEDC would sue if Lawson’s office improperly withheld documents. Other election security advocates said it was vital that Greenhalgh succeed. 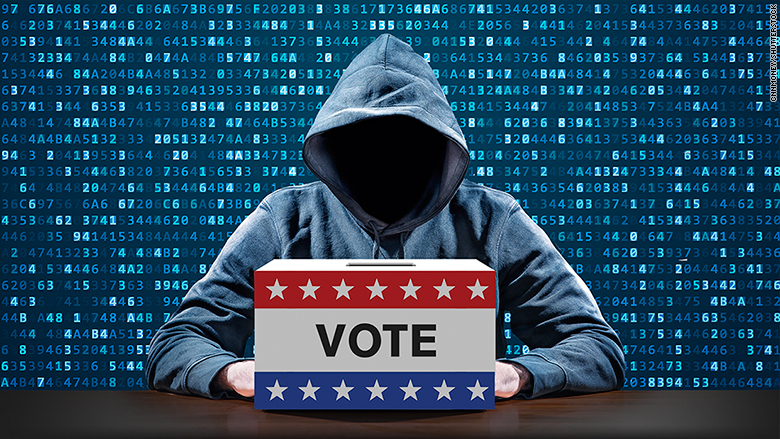 “Voters deserve to know what the the top advocacy organization around election legislation, NASS, is being told to do by its members,” said Jake Braun, who co-organized the DEF CON Voting Village. “We will only engender trust in elections with transparency, not a shroud of secrecy.” Pros can read Eric’s story here. On March 23, 2018, thanks to the work of election security advocates, Congress approved $380 million to improve election defense. While states will have flexibility in how they use this money, Congress has emphasized the importance of having a voter-verified paper record of every vote. In a memo, Congress also recommended those paper records be used to conduct post-election audits, ensuring voting machines have produced an accurate result. On August 22, 2018, Senator James Lankford delivered a speech on the floor of the U.S. Senate about his bipartisan Secure Elections Act and the need for Congress to quickly pass legislation to strengthen our election cybersecurity. FreedomWorks supports the SEA. For over a quarter century, FreedomWorks has identified, educated, and actuated citizens who are enthused about showing up to support free enterprise and constitutionally limited government. In 2016-2017, the National Election Defense Coalition (NEDC), with our partners and allies, orchestrated a bipartisan campaign to educate policy makers and urge them to implement federal and state security reforms. This effort galvanized the Secure Elections Act (S.2593), introduced in December of 2017 by a bipartisan group of six Senators; James Lankford (R-OK), Amy Klobuchar (D-MN), Lindsey Graham (R-SC), Kamala Harris (D-CA), Susan Collins (R-ME), and Martin Heinrich (D-NM). There is a measure similar to Senate Bill 2593 in the US House, the PAPER Act (H.R. 3751), with strong bipartisan support, including Grover Norquist and Americans for Tax Reform. The immediate aim of both bills is to secure federal support for states and counties to replace antiquated paperless voting machines before the 2018 and 2020 federal elections and to press for policy changes to ensure election administrators have the auditing tools and training to detect and thwart a cyber-attack. With the spotlight on election security, election administrators need tools to provide voters with confidence in all stages of our electoral system. Join election officials, cybersecurity experts, policy makers, and others for a practical overview of cutting-edge post-election audits, which provide statistical confidence in election outcomes. Professor Alex Halderman, NEDC advisor, testifies before the Senate Select Intelligence Committee Hearing. NEDC and allies present the case for election security to over 100 Congressional staff members.